Up to 80% Off on Motorcycle Tires! 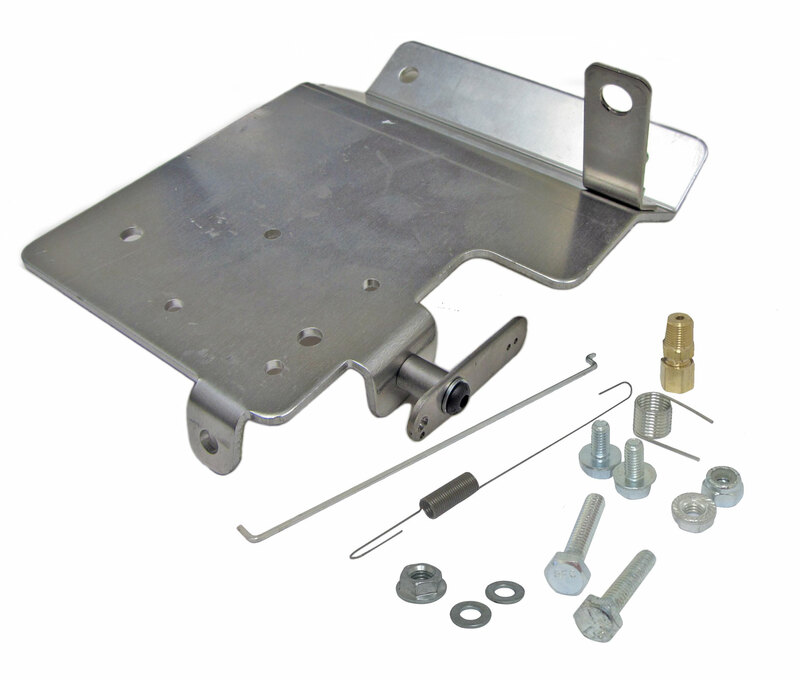 This top plate / throttle station is compatible with most 5.5HP or 6.5 HP OHV Clone (Yellow, Blue, Box Stock Clone) or Honda GX160 / GX200 Engines. This style is designed so that it is a lot easier to get full throttle. Throttle cable is easy to convert to Flat Head or Animal Motors. Not able for use when stock gas tank is installed. Shipping: All orders are shipped via U.P.S. or U.S.P.S. unless otherwise specified. All shipping charges are the customers responsibility (even if charges are more than website are calculated). If you pay for express shipping, your order will be shipped ASAP. Express orders placed after 12:00 p.m. est. will be processed the Next Business Day. All standard shipping orders will be shipped within a day or two of payment receipt. If for some reason we are not able to ship within a few days, we will contact you. Double Check that the address you gave is correct. UPS charges $14.00 for any errors in the shipping address, we will charge this to you if your address is incorrect. USPS & UPS Sure Post: In 2015 BMI has added UPS SurePost as a shipping method. This service combines the consistency and reliability of the UPS Ground network with final delivery typically provided by the U.S. Postal Service. BMI may change your USPS selected shipment to UPS Sure Post without notice. Please note your order if you do not want UPS SurePost to be used. PayPal Ship-To Address: Adjusting your shipping address with PayPal during checkout does NOT change your shipping address within the order you are placing. The address within your bmikarts.com account is the address that will be shipped to, not the PayPal shipping address. Fulfillment Time: Most standard shipping orders (UPS Ground & USPS) will be shipped within a day or two of payment receipt. If for some reason we are not able to ship within a few days, we will contact you. Orders are not processed or shipped on Saturday or Sunday. UPS Ground: Monday thru Friday. No transit Saturday or Sunday. UPS 3-Day Select: Monday thru Friday. No transit Saturday or Sunday. UPS 2-Day Air: Monday thru Friday. Saturday Delivery is an Option (for an extra fee). No Transit on Sunday. UPS Next-Day Air: Monday thru Friday. Saturday Delivery is an Option (for an extra fee). No Transit on Sunday. USPS Postal Service: Monday thru Friday. Saturday (in some areas). No Transit on Sunday. Shipping to Canada: In Canada, buyers are responsible for paying duties, taxes, and applicable customs brokerage fees separate from the merchandise cost. Buyers will generally pay these fees upon receipt of your shipment. Canadian buyers may be charged additional fees once they receive the package. Express Shipping: Our website calculator does not take dimensions into consideration when figuring shipping costs. We have made the necessary adjustments for Ground shipping, however, Express shipping may be more than quoted. If this is the case, we will contact you before we ship. Saturday Delivery: Our site does not offer Saturday Delivery, however, if you would like that option for Next Day Shipments Only, please make note of it with your order, and we will contact you with shipping costs. Based on business days for transit. All returns are subject up to a 20% restocking charge. Permission to return any UNUSED item must be requested within 30 days from the shipping date and is subject to our approval. If there is a problem with any of your parts, BMI will need to inspect them with an emailed picture or a merchandise return before any refund is made. You must obtain a Return Authorization Number From BMI before any item can be sent back. Products must be returned within 30 days of receipt. All shipping is to paid by customer. We do not take returns on any electrical items, custom parts, and items sold as used parts. Be the first to hear about new and exciting products, special pricing and incredible deals! Copyright BMI Karts & Parts. All Rights Reserved. eCommerce Software by 3dcart.